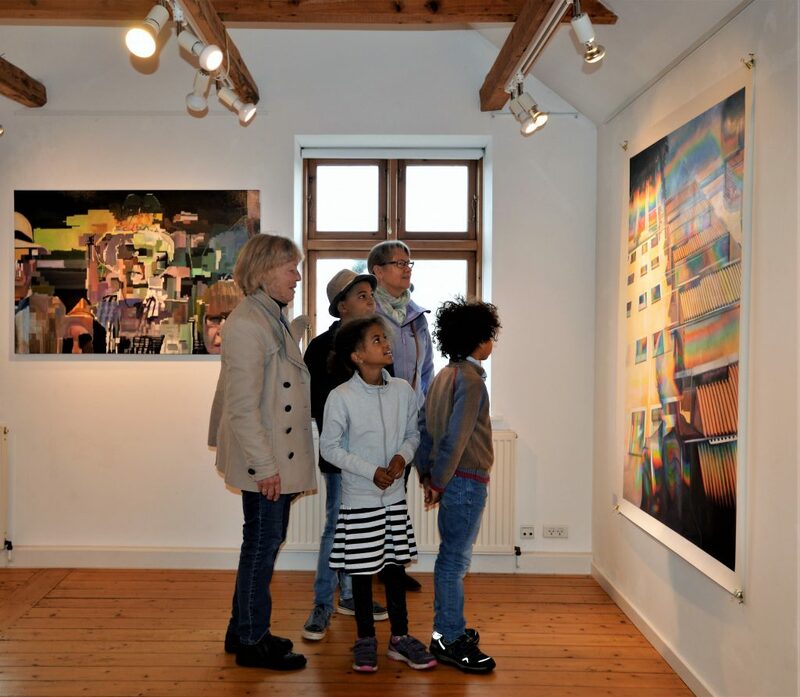 Our mission is to create an artistic and intercultural platform where talented, professional international, Nordic and German artists can meet and present their works to a wider audience. With our exhibitions, cultural projects, workshops and similar events, we aim to create a network that can maintain and expand the dialogue between the artists, have an impact on the current society, and increase the awareness and interest of both the artistic and the untested audience. We do want to change the art game! We hope to make international art, particularly artists from the German and Nordic art scene more accessible and visible to the public. Galleri Heike Arndt DK wishes to sustain and enhance our established platform, providing art and cultural exchange for professional artists and the broader public. We aim to change the rather stereotypical perception that galleries are only for a certain kind of people into a concept of a gallery accessible for everyone. We wish to bring attention to exquisite original Nordic artwork, as well as more affordable artwork, such as original graphic prints. At Galleri Heike Arndt DK, we work from a common set of ethical values that form the basis of the daily operation of the gallery. We strive to improve, introduce and make art and culture more accessible. By doing so, we believe our gallery to be a major contributor to the introduction between cultural identity and the different artistic profile. A positive side effect of this process is the growing cross-cultural understanding. Through art, we introduce new ways to create an understanding between people from various backgrounds. Over the last years, we have embraced the empathic and a humanistic view from Nordic society to build several intercultural bridges. We want to maintain an international, professional and quality-oriented profile.